I would like to congratulate you and your team on a fantastic effort with the 2012 forecast numbers. Their Net Profit figure was $1.4m versus ours at $1.3m. Their Revenue was lower at $27.6m vs ours at $29.0m and EBITDA was $5.9m vs ours at $7.1m, with Basic EPS of 0.72 cents per share vs ours at 0.63 cents per share. The company paid down $4.5m of debt vs ours at $4.1m. Importantly, EBITDA grew $3.54m or 150%. Ours had 144% EBITDA growth! "My colleagues found your Equity report to be very professional, well organized, and highly informative. The analysis you used are all highly regarded. Our presenters are working on the finalizing the report. We would really like to reference and recommend Market Equations"
Our Analysts have extensive experience in using applied mathematics and statistics and are proficient in with statistical software such as R, SAS, S Plus, Matlab, WinCross, AMOS, LISREL and MS Excel. 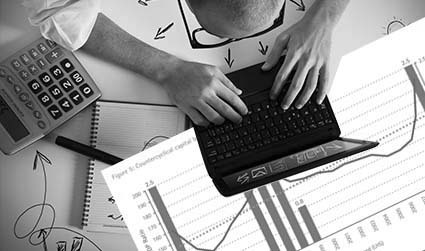 Outsourcing Financial Statement Analysis, Valuation, Forecasting and Reporting services to India can help you achieve substantial cost and time efficiencies, high quality and access to a vast pool of competent intellectual resources. You will gain competitive advantage by outsourcing your Financial Statement Analysis, Valuation and Forecasting requirements including Initiation and Coverage Reports, Financial Statement Analysis, Financial Modeling, Financial Valuations and Competitor Analysis.